After three years, it has indeed been a long journey. This was the same impression the indigenous youth who came from various nooks of the archipelago had when they first arrived in Bogor, West Java to take part in a series of trainings. The intense energy and inspiration to revive indigenous culture that translates to replicating the traditional ways of the ancestors was shared by indigenous girls and boys who came from 15 provinces in Indonesia. They had an extraordinary camping experience which included learning about documentation through text (writing), photos, and videos. The Indigenous Youth Live-In camp was a ground breaking experience where indigenous youths were sent to the five regions of Maluku, Jambi, North Kalimantan, Central Kalimantan, and North Sumatera. Three weeks of community immersion exposed the youths to cultural diversity of indigenous life. The Koha indigenous youth in North Sulawesi embarked on establishing an indigenous school for learning the language Koha, which compensates for the dearth of government schools that cater to the particular needs of indigenous people there. Local wisdom is too precious to be ignored and the crying need for the youth to know their history, identity, culture, and the ancestors’ legacy cannot be understated. The Koha youth realize that putting up a cultural school and learning their local language is a milestone in asserting their identity. The wealth of exposure and immersion resulted in various activities: Arts and Cultural Performance, Book Launch of The Ancestor’s Path, Film Screening, Photo Exhibition, showcase of the archipelago’s Culinary Wealth, Traditional Games, and culminated with an Indigenous Youth Strategic Meeting. “Arise, move and unite!” is a shout-out to the youth to conclude every meeting and event that captures BPAN’s goal of immediately actualizing collective action. There has been a great leap among the Indigenous Youth in understanding their ancestors’ knowledge by visiting the village elders to discuss, record, and document in written and audio visual forms, by tracing the history of their ancestral territories, and savouring and relishing their local food. All these found posterity in books, videos and photos that the youth worked on and shared at national and local venues of learning and social media like facebook and twitter. BPAN plans to replicate the Indigenous Youth Camp in all territories to revive interest and learning about traditional culture and cultivation of self-identity or sense of belonging of indigenous youth wherever they may find themselves. With the project “Tracing the Ancestors’ Path,” elders are assured that the race lives on because the youth listen and take to heart the history of their ways of life. The youth achieved the goal of knowledge transfer when they recorded every precious word the elders shared to the next generation of culture bearers. Notes: The camping was held in three different places at different times: Sungai Utik, Regency of Kapuas Hulu, province of west Kalimantan on 17-21 September, 2015; Mangku Langit, Regency of Paser, province of East Kalimantan on 26-30 December, 2015; and Talang Mamak, Regency Indragiri Hulu, Province of Riau on 25-27 February of 2016. 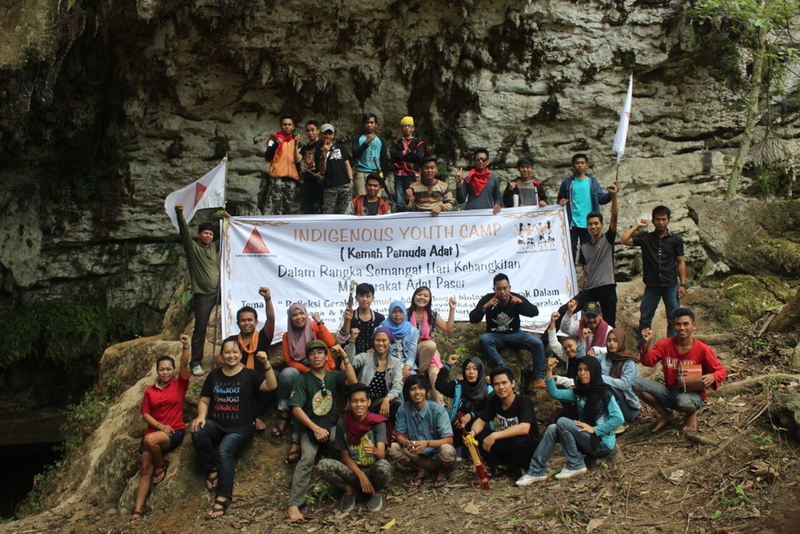 The project is supported by the Pawanka Fund and implemented by BPAN or Archipelago Indigenous Youth Front of Indonesia.